Don’t you hate those annoying little hanger bumps in the shoulders of your shirts and sweaters? Since it’s the beginning of sweater season, it’s time to fix the problem so you look your best and help keep your clothes lasting longer in the process. As for storing clothes, we can either be categorized as a ‘folder’ or a ‘hanger’. I’m a folder. This means all my sweaters, t-shirts and sweatshirts get folded. 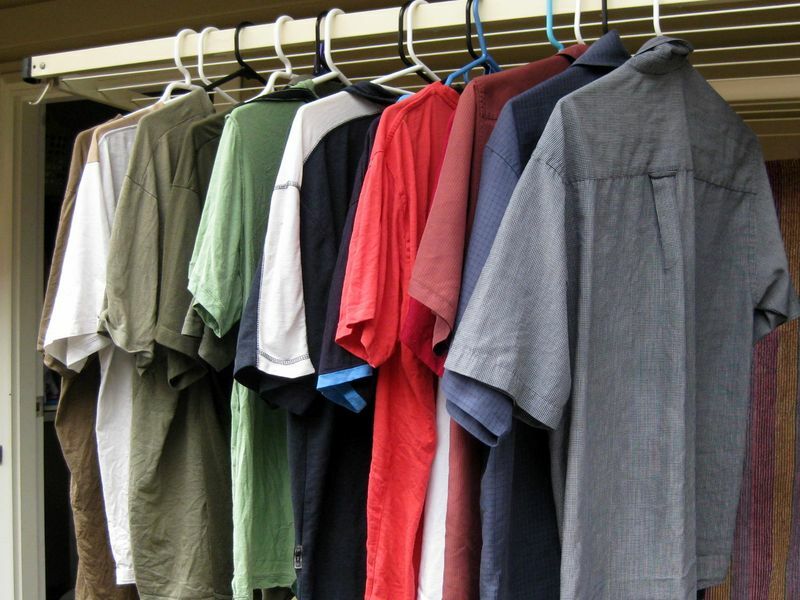 The only shirts hanging are dress shirts and polo shirts. If you’re a life-long sweater hanger, I’m probably not going to convince you to start folding your sweaters, but I will encourage you to give it a shot. It’ll free up space in your closet and prevent shoulder bumps all together. If you just can’t tear yourself away from sweater hanging, no worries, keep reading. First & foremost, hangers are the problem. We typically don’t think about hangers until we need some. Generally, the cheap, round plastic hangers you can find just about anywhere for $2 for a 10-pack are good enough. They’re cheap, effective, but certainly not the best option. Don’t even think about using metal hangers. Shoulder bumps are caused by the hanger not extending out past the shoulder area far enough. 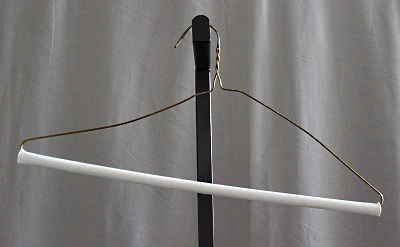 Most hangers are too short and too thin to support the garment properly and since the hanger is short and thin, you get shoulder bumps at the top of the shoulders. The solution: longer & thicker hangers. A good hanger will be long enough to extend past the shoulder so the sleeve can fall naturally. It should also be thick enough to support the garment and not stretch the fabric. I use wood hangers. 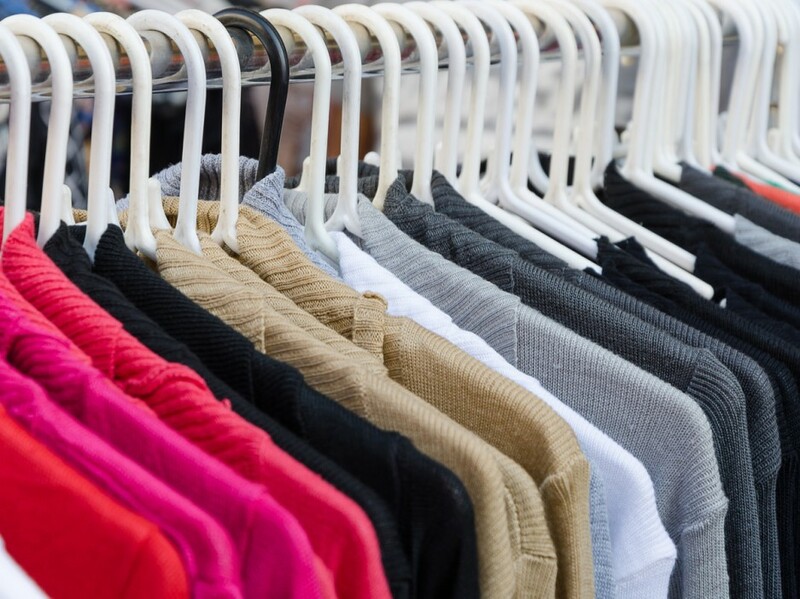 Yes, they’re more expensive, but if you’ve invested into your wardrobe by buying long-lasting quality garments, you deserve to store them in a manner that doesn’t cause harm. Another benefit of most wood hangers is the rounded back side. There’s a front-side and a back-side to most wood hangers (check for yourself next time) that allows the shirt to be hung similar to how it’s worn and how it’s designed. The rounded hanger helps retain the shape of the shirt or sweater. I have experience with wood hangers and they’re all I use. However, there are other hanger options on the market that promise no bumps, so feel free to give them a shot and let me know your results. Same thing goes with hanging your suit or sport jacket. You’ll usually get a good hanger from the place you buy your suit or jacket and you should use it. Don’t use a round plastic hanger to store your nice suit. The suit hanger helps retain the shape and construction of the jacket so it drapes correctly and stays wrinkle free when hanging. 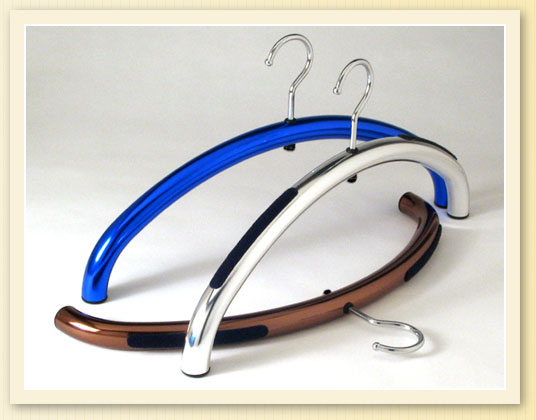 Suit hangers also (generally) have really wide shoulder areas to provide proper support to your jacket. If you want to restock your closet with rounded wood hangers, I can recommend the ones at Bed Bath & Beyond because they have the rounded back-side. The wood hangers at my local Fred Meyer are flat. That’s still better than metal or plastic, so if that’s all you can find go for it.